The wildlife in South America is arguably the most varied on the entire planet. If not for culture and historical highlights alone, then at the very least for breathtaking nature and an array of utterly unique wildlife. The land of glaciers and tropical rainforests, vertiginous mountains and outstanding beaches, is home to a kaleidoscope of endemic wildlife. Most of it insanely cute, somewhat fluffy and undoubtedly photogenic. 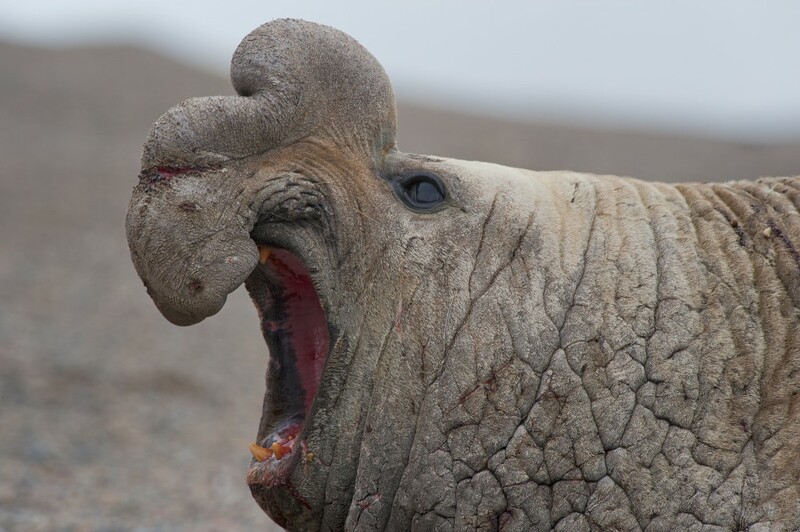 Even the male southern elephant seal, voted one of our world’s ugliest creatures, holds some particular appeal, don’t you think? We’re quite sure it has a smashing personality and looks like it would be a lot of fun at parties. Luckily, all other wildlife in South America is a sight for sore eyes rather than bona fide sore sights! Travel from the barren, southernmost point of South America, to its most tropical northern region, and your chances of coming face to face with some of the planet’s most majestic wildlife are phenomenal. 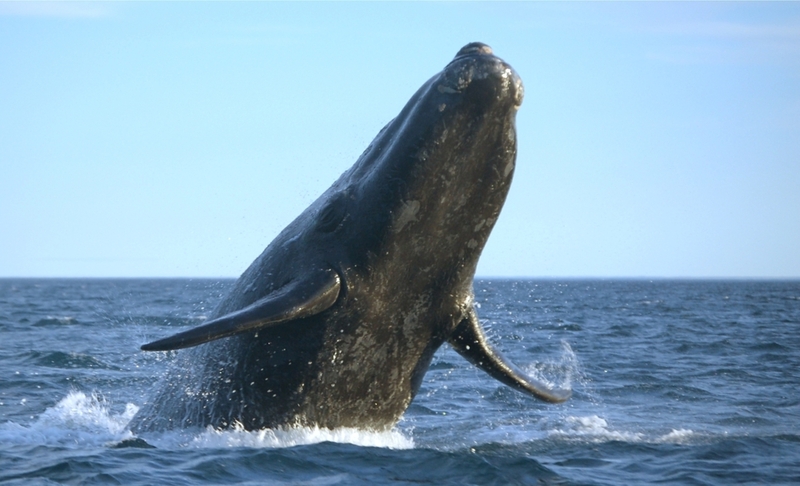 Wildlife in South America: Southern Right Whale breaching off the coast of Argentina. Photo credit: Shutterstock. It’s amazing to learn that one of the planets’ largest animals feeds off one of its smallest. Plankton is, for the most part, the favoured food for the Southern Right Whale, a colossal baleen that can weigh up to 80 metric tonnes. There are an estimated 10,000 of these awe-inspiring creatures left in our southern oceans, and enjoying a close encounter, on an unforgettable cruise to Antarctica, about as memorable as wildlife spotting in South America can get. The Southern Right Whale, and its Northern counterpart, are believed to have originated from a single species, which eventually split and evolved separately due to rising water temperatures along the equator. Unlike the Northern whales, however, Southern Rights are much more active and even interactive with vessels, making them immensely enjoyable to watch. Where to spot them: Sailing happily along the Valdez Peninsula in Patagonia in the summer months, and all along the western and eastern coasts of South America in winter. A tour of Patagonia and her superb coastline will gift you the best chances of spotting these tremendous beasts of the sea. 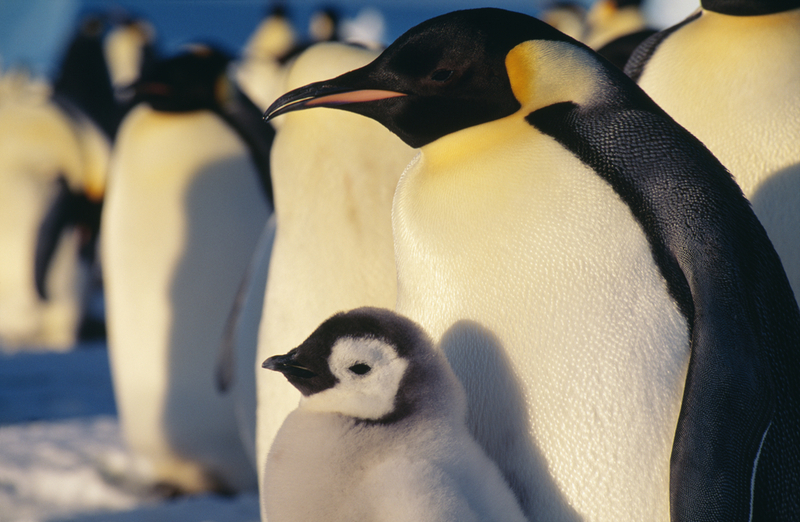 Wildlife in South America: Emperor Penguin with chick. Photo credit: Shutterstock. With its sleek aerodynamic body, colourful plumage, and quite pretentious (if not more than a little clumsy) waddle, the Emperor Penguin is usually at the top of the must-photograph list of all who visit on an Antarctica cruise. Unperturbed by humans, inquisitive and comical, these little guys are among the most rewarding wildlife spotting subjects you could meet. All those under-plumage love handles help the Emperor survive and breed during the harsh Antarctic winter. That comes rather handy, considering the Emperor is one of only a handful of animals in the White Continent which sticks it out over winter and doesn’t flee to warmer climates. Where to spot them: Take a cruise to Antarctica if you want to see the mighty Emperor Penguin in their natural, spellbinding habitat. 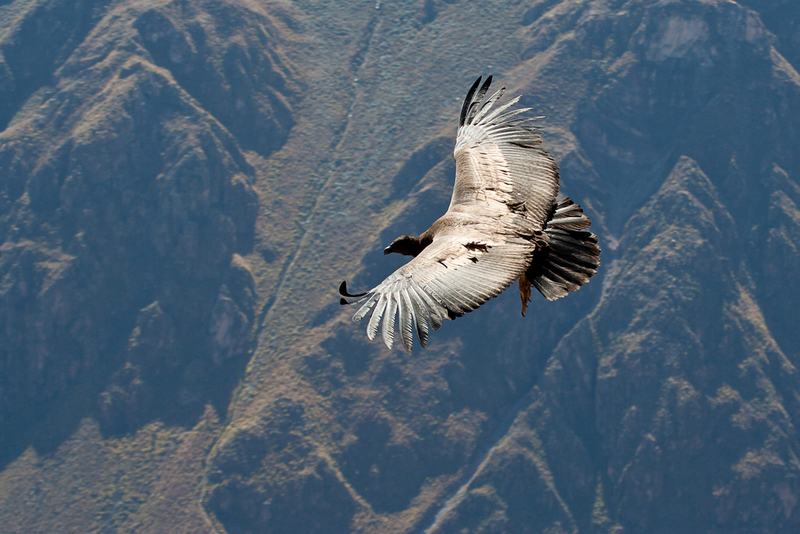 Wiildlife in South America: Andean Condor. Photo credit: Shutterstock. Aside spotting your first ever whale in Antarctica, there are a few more South America wildlife experiences which can catch your breath and make your heart skip a beat. Standing on the rim of the Colca Canyon in Peru at sunrise, and watching a regal Andean Condor take flight, is among the best. The giants of the sky have the largest wingspan of any bird (up to 3m) and are an absolutely astonishing sight. So much so, that in order to see them, and the awe-inspiring canyon, one must endure an arduous overland trip of several hours, on a pothole-ridden road, each way. And that is about the most worthwhile organ-displacement-therapy you could ever hope to endure. Where to spot them: The best spot along the Andes Mountain Range is, by far, the Colca Canyon, followed by the Atacama Desert in Chile and, at times, even parts of Bolivia. However, sighting in the latter two places are a matter of exceptional luck, so if the Condor is at the top of your list make sure to include a visit to Peru and a tour to Colca Canyon on your South America tour itinerary. Now he’s a furry little cutie who couldn’t even scare a 4-year-old! Capybaras are the world’s largest rodent and sport a stocky round body, stumpy legs, little ears, beady eyes and an adorable round snout. 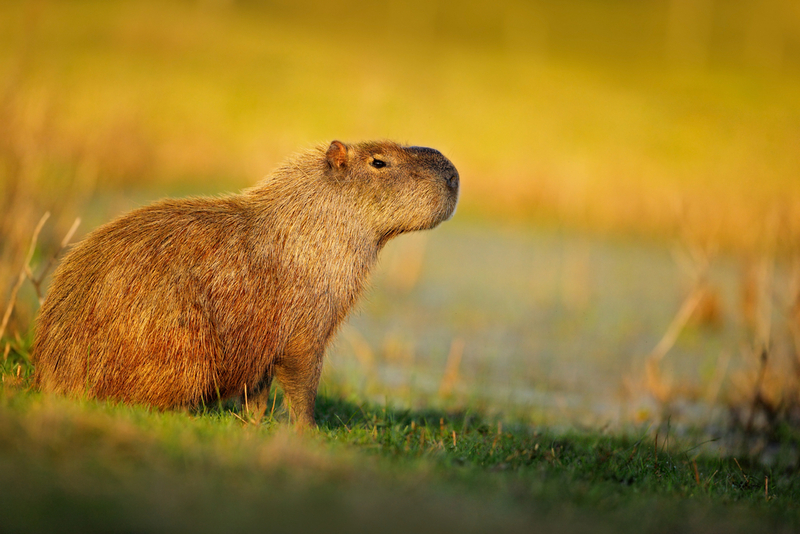 The capy can reach lengths of up to a meter and a half, and weigh up to 65kg. Interestingly enough, thanks to all the grass munching, the capybara’s teeth grown continuously throughout their lives, which is rather handy. They’re sociable animals and live in very large packs. They also eat their own poop, because apparently it helps with digestion of foliage. So now you know. Where to spot them: Found foraging through the luscious forests of South and Central America, the capybara is semi-aquatic and never steers too far from water. The best place to see them in large numbers are in the Brazil, Panama, Bolivia, Venezuela and Costa Rica. Any tour of South or Central America which dedicates plenty of time to experience the wilderness will undoubtedly result in plenty of sightings of these funny looking fellas. The world’s largest snakes happily feed on capybaras, apparently not at all disturbed by the latter’s taste for its own organic waste. The Green Anaconda can measure a mind-boggling 10m in length, 230kg in weight, and sport a girth of over half a meter. Gulp. The anaconda is not a venomous snake, preferring to suffocate its prey instead. Should this impressive snake find it has eyes bigger than its belly, and set its sights on a very large prey, it’ll simply stretch its very elastic jaw ligaments to fit it all in. Quite the handy party trick, you must admit. The Galapagos Islands, off the coast of Ecuador, is the premier wildlife spotting destination in all of South America. Yet of all the truly incredible creatures you could spot here, including Albatross, Blue and Red Footed Boobies, Sally Lightfoot Crab and a tonne more, it’s the giant, really giant tortoises that seem to hold the most appeal. These ancient turtles can grow up to 1.5m in length and weight over 450kg. With a life expectancy of more than 100 years, they are among the oldest living creatures on earth, although due to the painfully slow breeding programmes, they’re also considered some of the most endangered. Amazingly, two new species of Galapagos Giant Turtles were recently discovered on Santa Cruz Island. 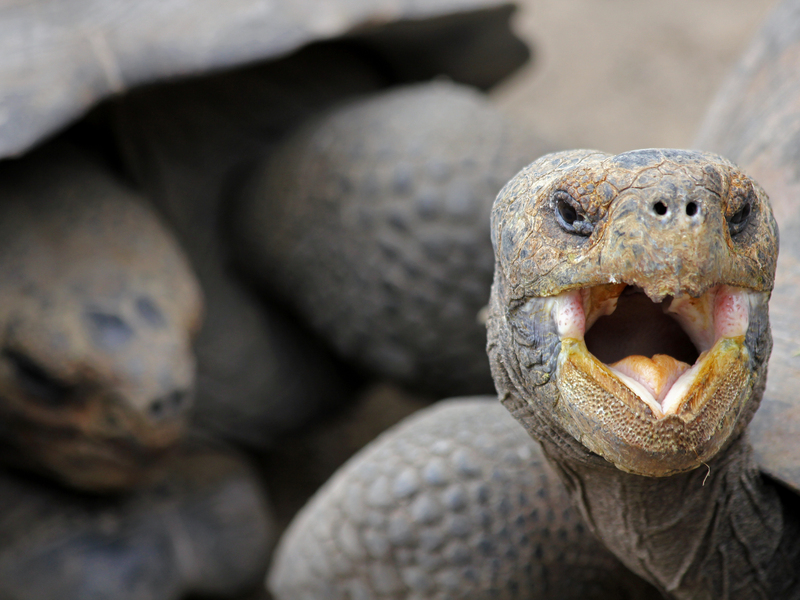 Where to see them: These tortoises are endemic and unique to the Galapagos Islands of Ecuador. Cruise them on a weeklong trip and you’ll have plenty of chances of up close and personal encounters. Wildlife in the Amazon: Jaguar. Photo credit: Shutterstock. Jaguars are the stuff of legends, thanks mostly to their incredibly shy demeanour. This is the world’s third largest cat, after the lion and tiger, yet the hardest to spot by a long shot. Although these incredibly beautiful felines live in an expansive area of the Americas, from the southern tip of the northern half (sightings over the last few years hint at a couple left in Arizona), right through Central America and all the way down to Paraguay, there are very few places which can basically guarantee a sighting. Where to see them: The best destination of all is the Pantanal in Brazil, in the months between April and November. 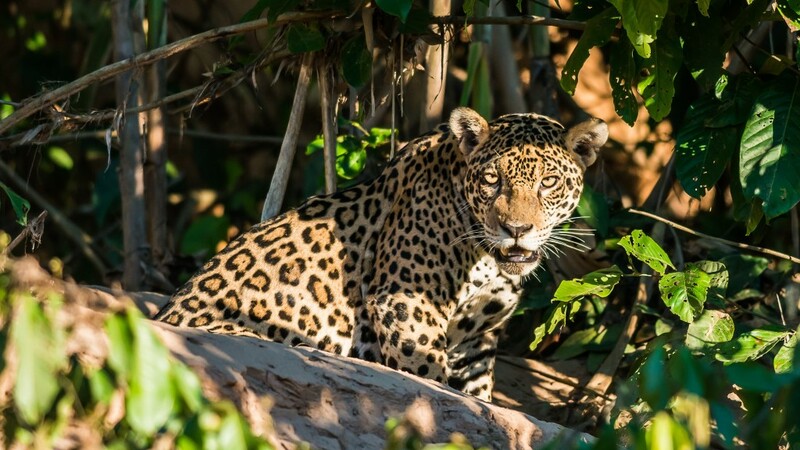 Visit here on a dedicated jaguar spotting wildlife river expedition. Nuts about wildlife? Then give us a call! We specialize in wildlife trips to South America and can tailor a tour to suit your specific interests. From the darkest depths of the Amazon Rainforest to the dramatic ice fields of Antarctica, we’ll take you along on a once-in-a-lifetime adventure in search of some of our planet’s most endearing wildlife. Delve into the depths of the Sacred Valley before rising to the pinnacle of Peru – Machu Picchu. Cruise the Galapagos Islands & explore its flora & fauna.